After living in Ireland for the past three years, Christopher Wilson has returned to his hometown of Indianapolis and re-launched his music journey with a 5 song album entitled The Fragile EP. 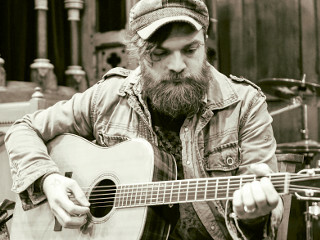 Compared to artists like Ray LaMontagne, Wilson’s powerful vocals are showcased by big melodies and honest lyrics. Often referring to Belfast as his muse, Wilson’s EP has an autobiographical feel that invites the listener to explore their own journey. He spent years refining his sound while on a major label as a member of a touring band in the US. Now, Wilson has settled into his own as a solo artist.